You've got to love our African Ankara prints. So much color, patterns and fun, fun! Hey Beautiful people! How's everybody doing? Am I the only one who saves tones of ankara styles for when next I go to the tailors? Well, I love my ankara prints and would have so much more in my collection, if not for unfaithful tailors (I'm sure we all have our share of horrific Nigerian tailor stories). 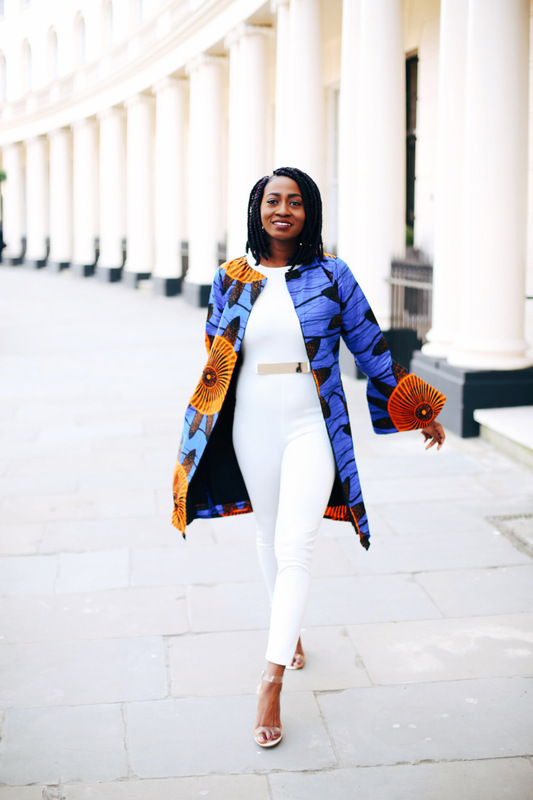 However, my blogger gals have been rocking those prints, I just had to share. 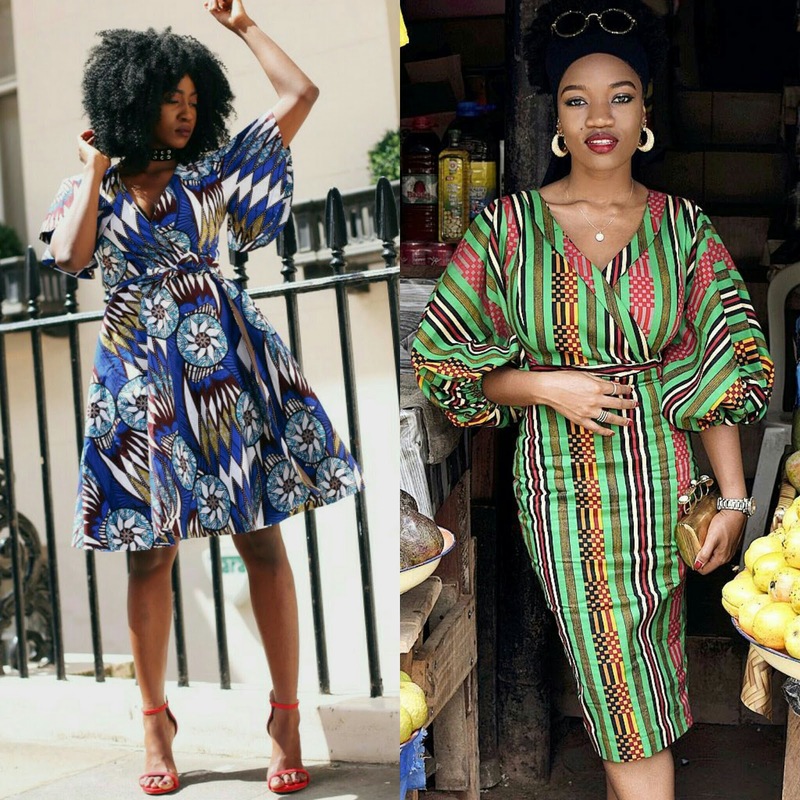 So here's five ankara styles to try on your next trip to the tailors. *Click under the pictures to access each bloggers site. 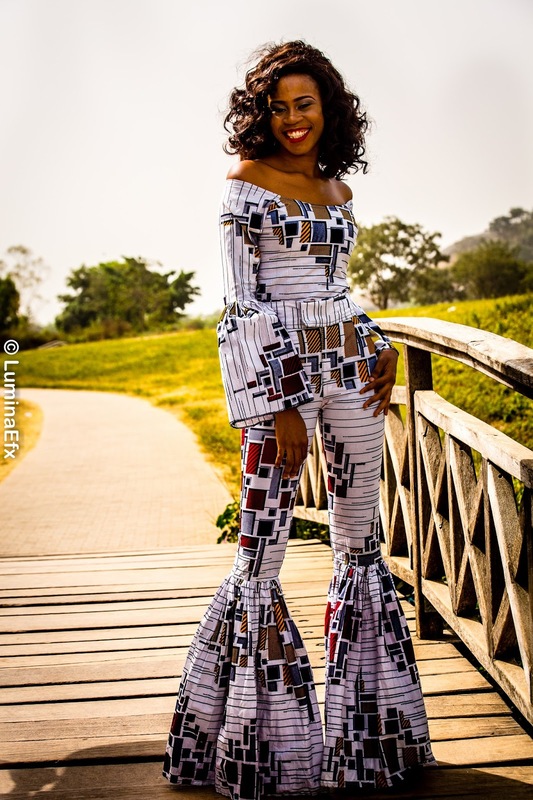 You all now I'm a huge advocate of one piece sets due to versatility but after much thought, a jumpsuit with our lovely African prints would just pop. I love how the bloggers below each incorporated a mix of two different patterns in their fits, I've got to try this some day. When it comes to dresses the options are endless! One could opt for a shift dress like Cassie. You could rock the ever trending off-shoulder dress with detachable sleeves just like Larissa and her friend. Or a flared sleeve off shoulder skater dress option like Alma. And can we talk about wrap dresses! They are so flattering on all body types, you just have to find what works best for you. While Jennifer opted for a skater fit in her wrap dress, Chinju went for a more fitted look. Also, let us not forget the beauty of mixed prints like Agatha showed us or the beauty in simplicity as Alexandriah rocked a basic pencil dress with an English twist. I love the idea of a coordinated set because it's so versatile. One could pair both pieces separately and they offer double print overdose which is perfect. 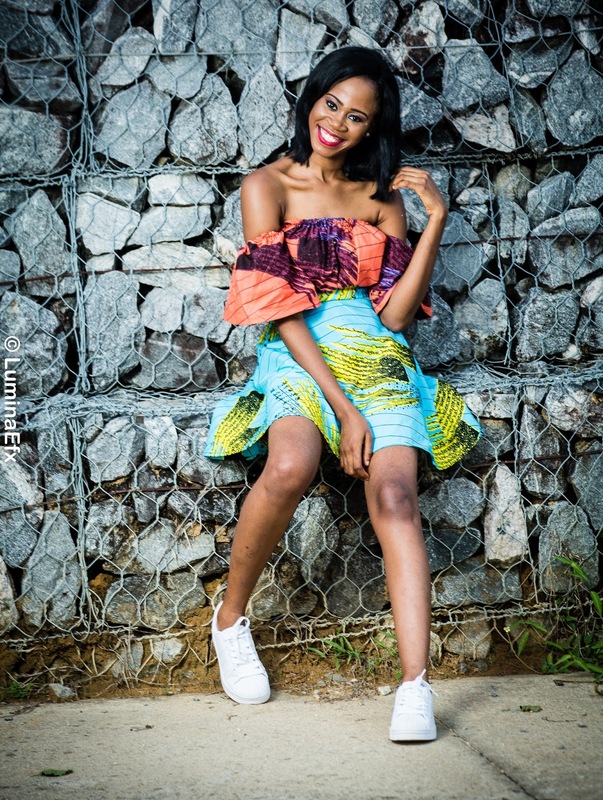 Tuke's ankara jacket and skater skirt have got me feeling so inspired, never thought of using ankara like this. Also Larissa, nailed it with those bell buttom trousers and a flared sleeve crop top. Let's also not forget how Larissa rocked a kimono and high waist shorts set. I may not be a fan of shorts but I'm sold with this look. I'm so excited because I've got the connect to her tailor! Also Tee gives us more inspiration in an off shoulder top and flared skirt and a bell sleeve set as well, she knows her stuff guys. A good jacket can instantly transform one's entire look. 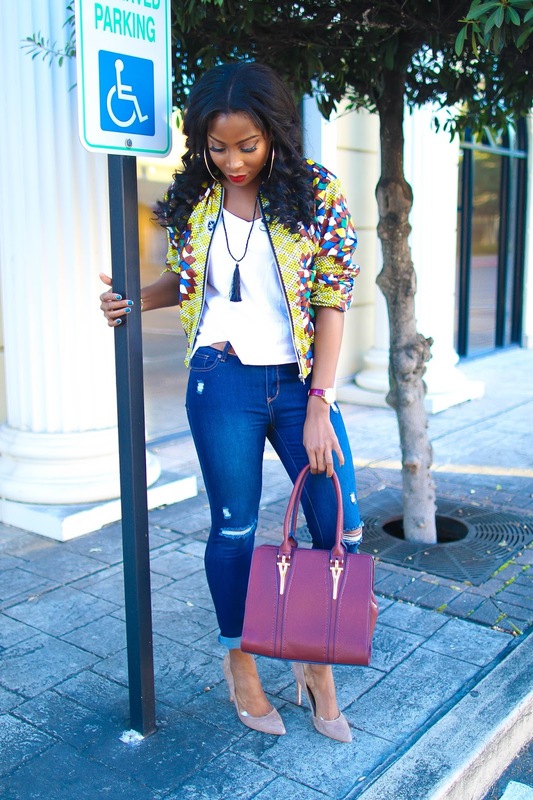 I just love how Agatha's bomber jacket spiced up the basic denim and white t-shirt pairing. Also, Jennifer, who is the queen of ankara prints, nailed it with that bell sleeve jacket paired over a white jumpsuit. It doesn't get more classic than that. You guys should check her out for more ankara looks. Last but not the least is a simple wrap blouse. I've seen this in various other prints and the idea of trying this trend with African prints is so much more fun. A nice statement sleeve like the bell sleeve or flared sleeve would instantly add more drama to a wrap blouse. Who else feels like running to the market to stock up on anakra fabrics after seeing this post? I can't wait for my next trip to my tailors? What's your favorite look? How will you be rocking your ankara fabrics? 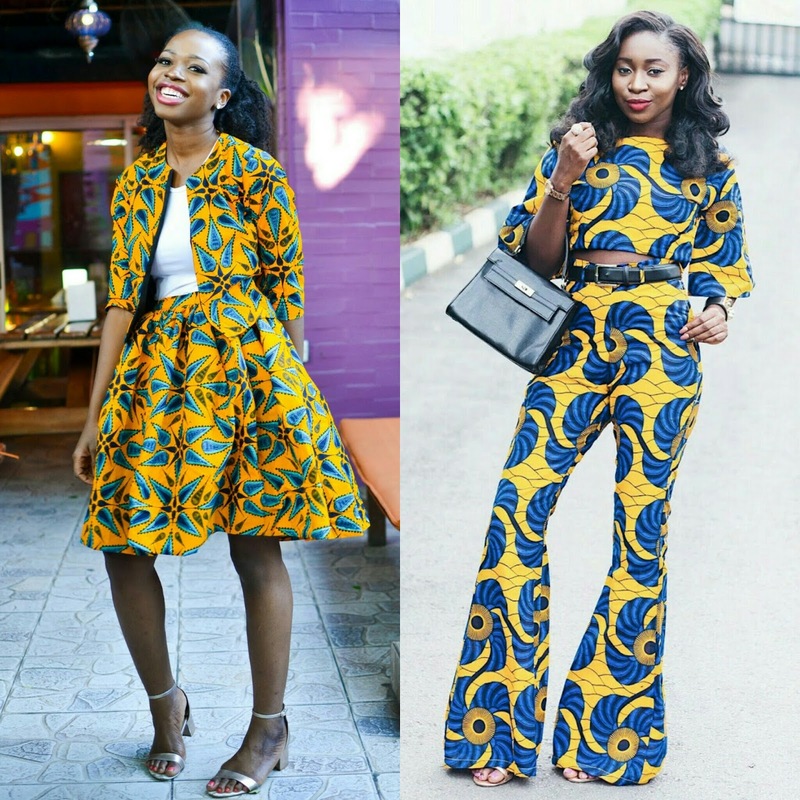 Looking for more ankara inspiration? Check out how I rocked mine in the past! Don't be a stranger, talk to me! Thank you for the feature Sarah. Great post as always. 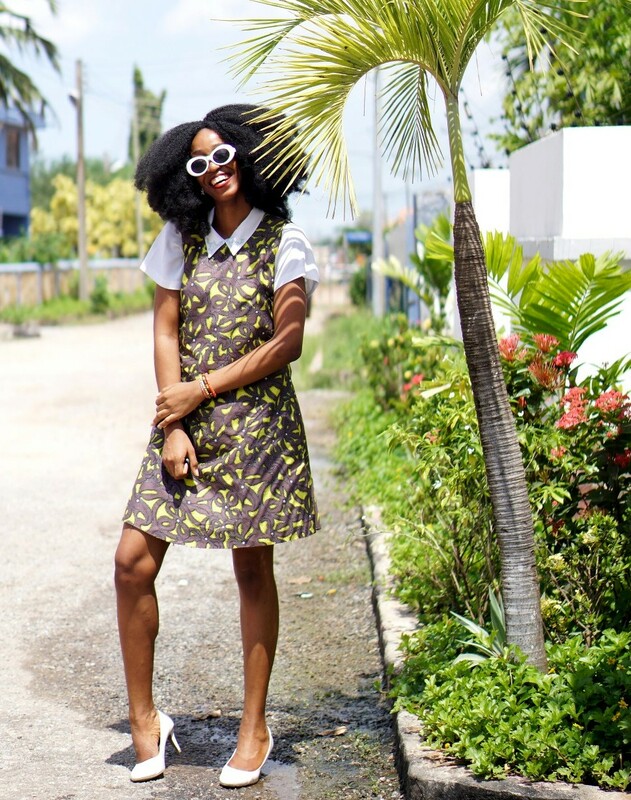 I love how more and more young people are embracing Ankara and styling them in beautiful unconventional ways. 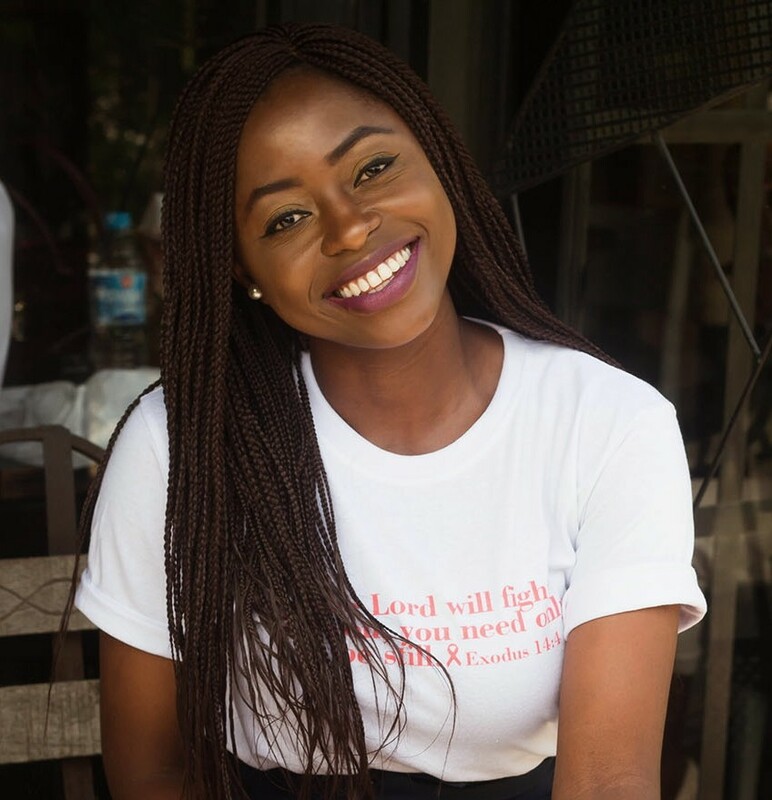 Of course girl, the post would not have been complete without the ankara queen herself. And I agree, gone are the days when ankara styles were boring and only for functional events. Now we can take them to everyday life with lots of fun styles. Thanks for the feature darling. I definitely more ankara pieces in my life. Girl that's exactly how I feel, can't wait to head to the market and of course,you are most welcome. Ankara season it is, cant wait to over stock my closet with more prints. And your so welcome. Your look actually inspired this post. Wow Ankara have really come a long way. Loved all of the outfits. It really has Sonia and cudos to all my creative young ladies out there for reinventing this. I'm still stocking up fabrics and saving styles! It definitely is Ankara season and doesn't look like its going anywhere soon. Love all your picks. So I'm not alone and Ankara is definitely trending and will be for a long while. Thank you! 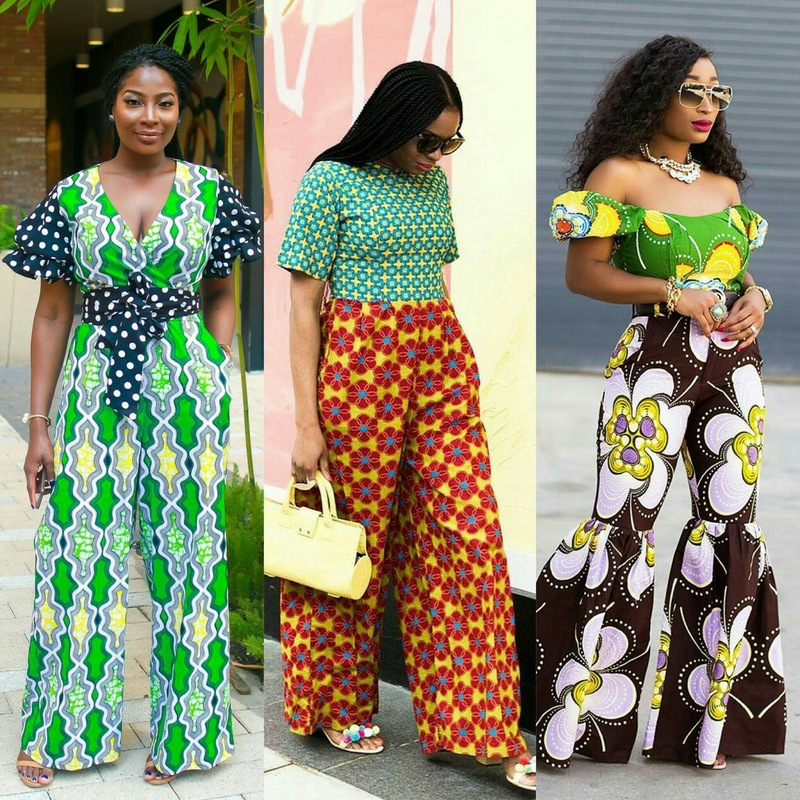 These are all beautiful styles, I miss my ankara wearing days. Me to girl, I'm already inspired on what to sew next and the jumpsuits are my favourite. These prints are so beautiful and I adore these outfits, really stylish and perfectly combined! Right, shout out to my girls who nailed it. Thank you. Lol girl but they did, may I remind you if Chicamastyle's culottes jumpsuit. You know me well though. Awww, Thanks for the feature hun. Indeed it is, thank you too. Thanks Sarah for this ❤️❤️❤️. Definitely made my day ����. Yay! I'm glad. Keep on inspiring! Lol I majorly made this post to have all my favourite styles in place for when next I visit the tailors. Glad it's helpful. Anthonia knows how it's done and I feel you on upping the game, with time though. Thank you for reading! Glad it inspired you, thank you for reading. But there is always time just use those fabrics away and make some dope styles!